Your profile is the first impression, so it is important to keep it up-to-date. 4. Take your time to fill in the fields and write a nice text about yourself. 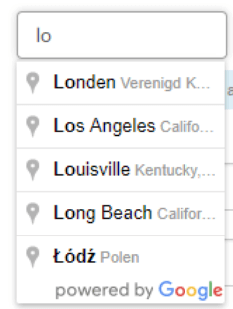 * = Enter the first few letters and then select your city from the list. 5. When finished click on the 'Send for approval' button. The more fields you fill-in, the higher the profile completeness score will be. Profiles with a higher completeness score have a greater chance of finding a suitable partner. Do you, just like Stefan, want a 100% completed profile? Then you have to fill-in all the fields completely, write a nice About Myself text and upload a recent profile picture. Below each part is the percentage you can get with it by completing it completely.